Playing around with different textures that are carefully layered will make your mantelpiece decor stand out more. Whether you use textured wallpaper behind art pieces or you use contrasting patterns and colours in your decor, variety is sure to upgrade the look of your mantelpiece immediately! Every home looks better with greenery, and when you add it to a mantel, it can give the room a fresh new look. Some of the best ways to add greenery include using indoor plants, artificial trees, or bouquets of flowers. The greenery will stand out perfectly and create the perfect addition to your mantelpiece decor. 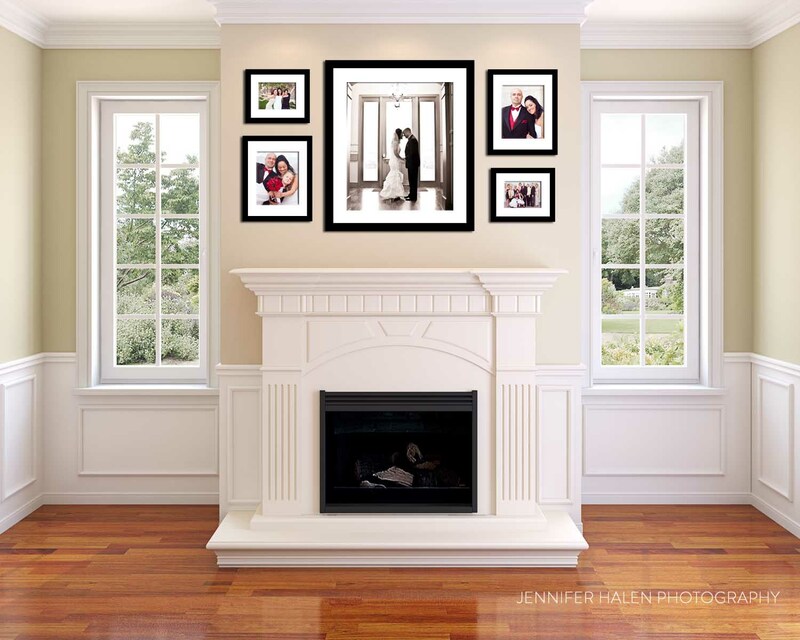 The mantelpiece provides you with the perfect space to showcase your family and your life. Instead of leaving the wall space above the fireplace empty, give your family room a fresh new look and decorate it with photos of all your adventures together! Not only will it give an elegant new look for your mantel, it will also be the perfect way to preserve your memories as a family. Draw attention to the mantelpiece, and make sure it’s the central focal point of the room, by adding decor that is large and catches the eye. Whether it is a large clock, a gorgeous year-round wreath, or a piece of your favourite art, using one large piece above the mantel can be an effective method of decorating while maintaining a fresh, modern look. One of the best ways to decorate your mantel is to draw inspiration from the room around it! Use a cohesive colour scheme to coordinate your art and decor above the fireplace with the throw cushions or furniture in the space. Using a blend of similar shades and tones will make your mantel look more inviting and really bring the room together. The mantel is a gorgeous and elegant part of your family room decor, and upgrading the look of the room can be as simple as changing how your mantelpiece is decorated! Whether you choose to display your family tree or create a gorgeous central focal point, you can easily make your family room feel fresh and new with these 5 ideas. 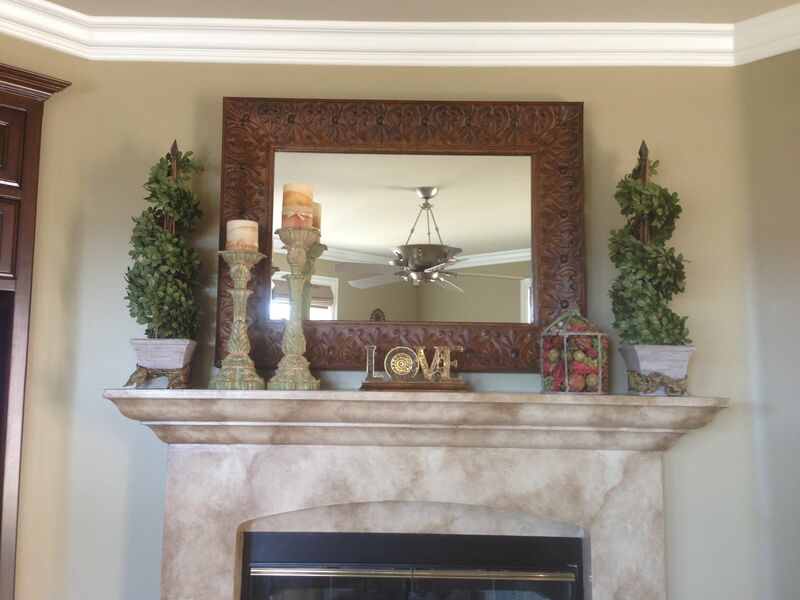 For more ideas on how to decorate your mantelpiece, visit the Falconcrest Homes Blog.